If merits are offered and you want it you need to pay the merit fee of $10. 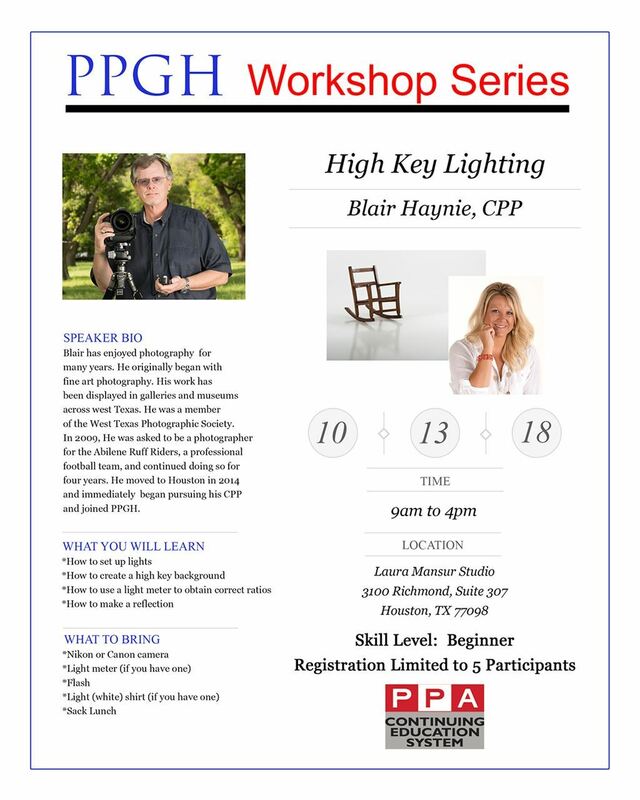 Any non-member photographer can sign-up to PPGH's workshops starting 14 days prior to event. The event registration will be active at that time. Workshop registrations must be paid in advance of the workshop. We apologize, but payments cannot be accepted at the workshop. Unpaid registrations will be cancelled and the spot given to those wait listed, if applicable.